Why is it so easy to rationalize immoral behavior? 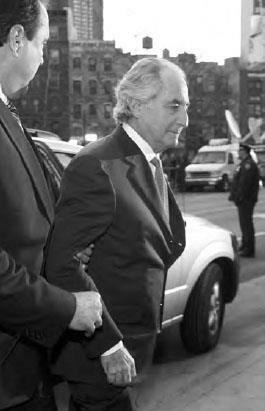 Financier Bernie Madoff perpetrated the largest Ponzi scheme in history. Although Madoff was a widely respected member of his community and a devoted family man, he defrauded friends, family, colleagues, and many charities of approximately $50 billion. Did Madoff justify his behavior to himself as he did it? We do not know, but we can imagine he might well have. We do know, however, that people rationalize and justify their moral transgressions all the time. In fact, the very nature of cognition makes it inherently easy to justify behavior that is clearly against our moral code. Cognition is never isolated from emotion. Emotion slants every thought we have and does so largely outside of consciousness. In other words, emotions bias our interpretation of events; we tend to interpret emotionally significant events in ways that are consistent with our emotions. Moreover, desire colors our thoughts as much as any other emotion. If we want something to be true, we often convince ourselves it is true. That’s why it is generally necessary to have some form of external check on our behavior; few people are up to the task of policing themselves.